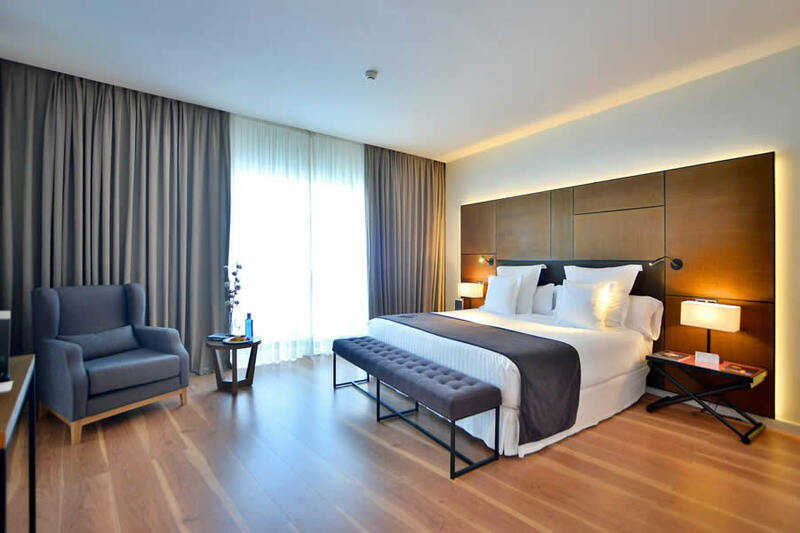 The Barceló Sevilla Renacimiento Hotel offers ample, luminous bedrooms with a modern, elegant style. The hotel has bedrooms with extra-large beds, bedrooms adapted for persons with reduced mobility and the possibility of communicating bedrooms. All the deluxe bedrooms have twin beds which are ideal for conventions where an endeavour is made to accommodate the group in double rooms. Each of the 295 bedrooms in the Barceló Sevilla Renacimiento Hotel offer all that is required to guarantee a placid and relaxing stay (either for business or rest). This is accompanied by esculent views of the city including the banks of the River Guadalquivir, the Alamillo Park or the excellent gardens of the hotel. The 276 bedrooms in this category are outstanding for their amplitude and luminosity, with incredible views of the River Guadalquivir, the hotel gardens and the Alamillo Park depending on the orientation. 12 Junior Suite rooms measuring 50 square metres with a rest area while some have independent dressing-rooms. 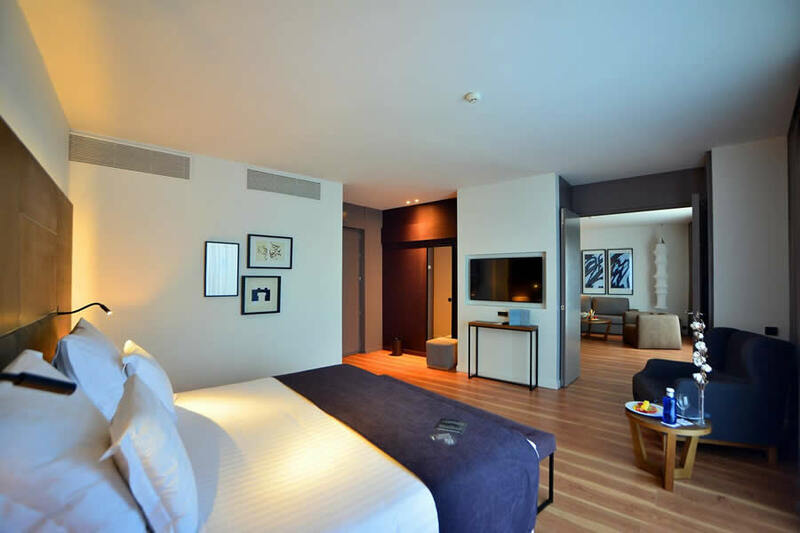 6 suites measuring 80 square metres where you will find all the comforts which will make your stay unforgettable. Each is composed of a bedroom, an independent dressing-room and a room with a reading area and a private solarium patio with a hydro-massage bath. An extraordinary room measuring 120 square metres with a private patio-solarium with a hydro-massage bath, a sitting room, a meeting room with an independent entrance and a complete dressing-room.